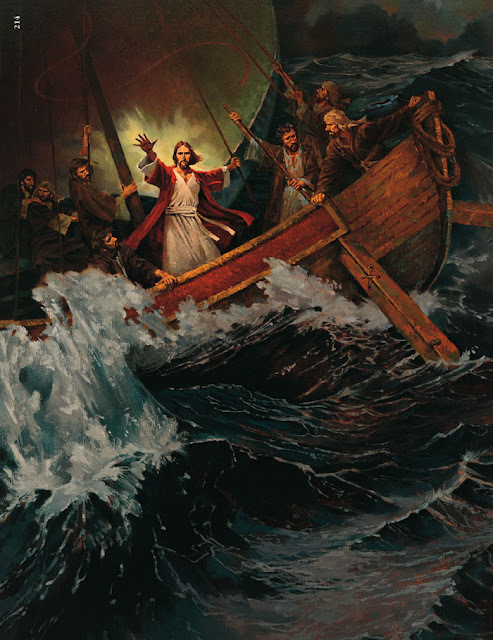 Jesus said, “Why are ye fearful, O ye of little faith?” (Matthew 8:26; Mark 4:39). “[Then] he arose, and rebuked the wind, and said unto the sea, Peace, be still. And the wind ceased, and there was a great calm” (Mark 4:39; Matthew 8:26; Luke 8:24). All week blessings have been bouncing about in my head. These times will not seem so painful in the future. Next month it will be one year. "Stop seeking out the storms and enjoy more fully the sunlight. I am suggesting that as we go through life, we accentuate the positive. I am asking that we look a little deeper for the good, that we still our voices of insult and sarcasm, that we more generously compliment and endure and virtue and effort." "It isn't as bad as you sometimes think it is. It all works out. Don't worry. I say that to myself every morning. It will all work out. Put your trust in God, and move forward with faith and confidence in the future. The Lord will not forsake us. He will not forsake us... If we will put our trust in Him, if we will pray to Him, if we will live worthy of his blessings, He will hear our prayers." "Therefore, let your hearts be comforted... for all flesh is in mine hands; be still and know that I am God." "And it came to pass when they heard this voice, and beheld that it was not a voice of thunder, neither was it a voice of a great tumultuous noise, but behold, it was a still voice of perfect mildness, as if it had been a whisper, and it did pierce even to the very soul - and notwithstanding the mildness of the voice, behold the earth shook exceedingly." "These experiences, while often difficult to bear at the time, are precisely the kinds of experiences that stretch our understanding, build our character, and increase our compassion for others. Because Jesus Christ suffered greatly, He understands our suffering, He understands our grief... The Lord compensates the faithful for every loss... The faithful know that every tear today will eventually be returned a hundred fold with tears of rejoicing and gratitude... Do your best, and leave the rest to Him." At the fireside a Stake YW leader bore her testimony of Patriarchal Blessings. She shared that in hers, she was promised to be a "leader of the youth" and that she would be called to "spread the glad message of the Gospel to the youth of the church" and it hit me like a smack on the face: Our Heavenly Father loves us. And Patriarchal Blessings are not to be fooled around with. "Natalie, your Heavenly Father is desirous that you be a mother." We'll get there. For now I am practicing being still.